This image of Ida Tietenberg Smith was probably taken in Rochester New York around 1904. Gr-Gr-Grandma Smith is stitting in a rocker doing some mending - she doesn't look to be be very happy about getting her photograph taken. 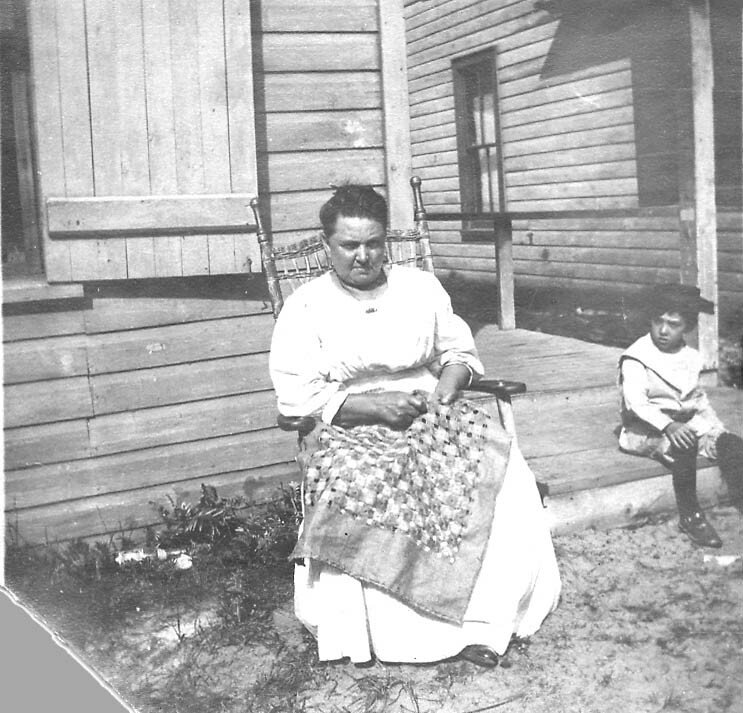 Sitting on the steps to the right we believe is her grandson Arthur Allen Sr (Grandpa Allen). This photograph was taken several years later. 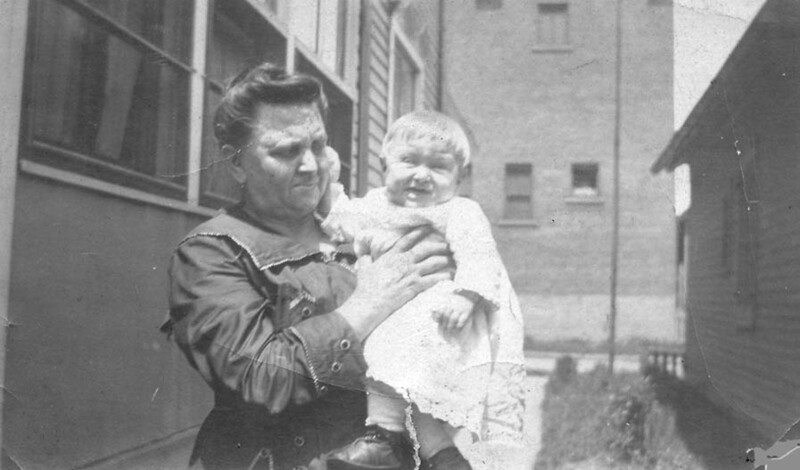 It also was taken in Rochester, but this time she is with her grandaughter Margaret Allen (mom). The date was probably 1919 or 1920.